Fortnite's store has been operating for just over a month, but it is already growing into real competition for Moloch Valve. Epic Games Store is not idle. Exclusivity for the sale of such titles as independent Hades from Supergiant Games or The Walking Dead: The Final Season is one thing. But taking such a big game as The Division 2 from Steam is second. The word "taking" is also fully justified here, because The Division 2 already had its card in the Valve shop. And now she is gone. Thus, the authors of Fortnite increase the rate and show that their shop - despite the inconspicuous start - may still be mixed up on the market. 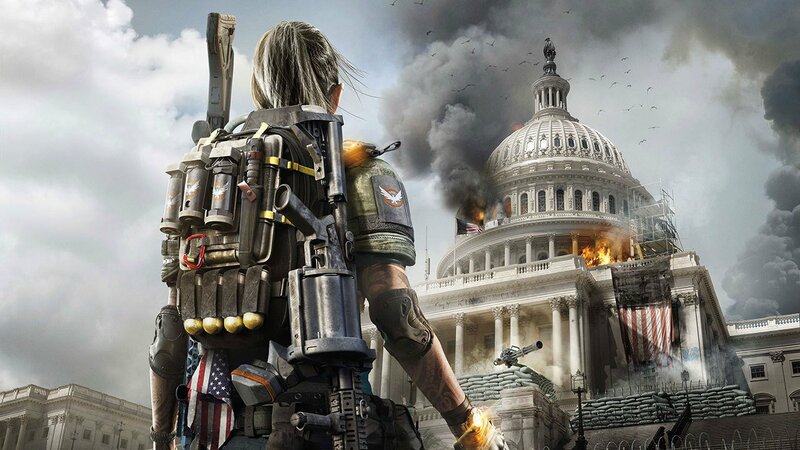 Especially that Ubisoft announces that The Division 2 will not be their only game, which will appear only on the Uplay (company platform) and Epic Games Store. And yet Ubisoft is one of the largest publishers in the world. No games like the new Far Cry or Assassin's Creed or the Beyond Good & Evil 2 would surely hurt Steam. It's interesting that Valve, before the announcement of the Epic Games Store, introduced changes to dissuade great publishers from giving up Steam . The company always took 30 percent. sales revenue. Now, however, it decreases to 25 and 20 percent respectively, if the given game sells more than ten or fifty million copies. Still, this is not equal to what the Epic Games Store offers - 88 percent. for authors and 12 percent. for the store. In addition, you can also add the fact that the Epic Games Store is used by anyone who plays PC on Fortnite. And considering that Fortnite is currently the most popular game in the world ... the store unwittingly gathers many potential customers. It is not some dusty platform that only a few people are interested in. In addition, players will find a free game there every two weeks, and recently it was even the perfect What Remains of Edith Finch. Who knows, perhaps in the future we will say that the greatest advantage of Fortnite was the Epic Games Store. With such a platform development, the abolition of Steam's monopoly does not seem such a science fiction anymore. This in turn will be a good development of events and for players, and - perhaps most of all - game developers. Meanwhile, The Division premieres on March 15.